The rising Hindu fanatic force of the Shiv Sehna has threatened with dire consequences if Pakistani umpire Aleem Dar was kept in India-South Africa cricket series. 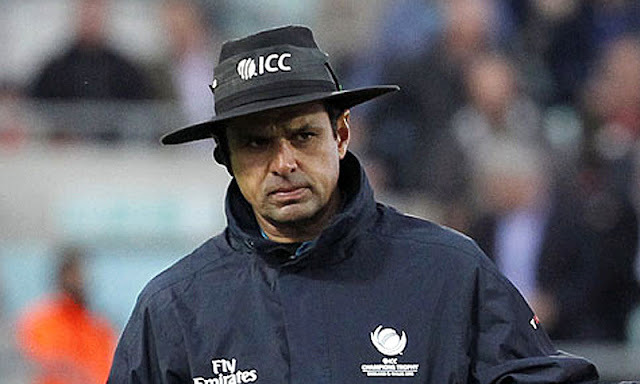 International Cricket Council(ICC) has therefore withdrawn Aleem Dar from the series on security concerns. Aleem is a member of the Elite Panel of ICC Umpires. Meanwhile two top Pakistani ex-cricketer turned commentator and analysts Wasim Akram and Shoaib have also decided to leave India on security concerns and threats from Hindu fanatics.